Adequate is the word that perfectly encapsulates the pouring of Monsoon rains over West Bengal this year. After picking up the lag of June and July, rains have not shied away from the state. Multiple weather systems and the on & off visit of Monsoon trough have given good rains over the state. The western end of axis of Monsoon trough is running along the foothills but eastern end of the axis of Monsoon trough is passing through Uttar Pradesh, Bihar, Jharkhand and oscillating between West Bengal and Odisha. Another weather system in the form of a low-pressure system has developed over coastal Andhra Pradesh and Odisha. This weather system is propelling moist southeasterly winds to West Bengal. The combined effect of these southeasterly winds from Bay of Bengal and the proximity of axis of Monsoon trough is allowing moderate to heavy showers over many parts of West Bengal during last 2-3 days. 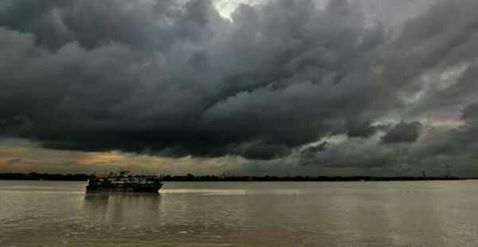 In the last 24 hours, many places of the state have received good rains like Bagdogra received 69 mm of rains, Darjeeling 74 mm, Diamond Harbour 31, Midnapore 15, Pontai 33 mm, Canning 19 mm and Kolkata received light rainfall. The rainfall figure also shows how much good this year’s Monsoon has been over thestate. Gangetic West Bengal is rainfall surplus by 6% whereas sub-Himalayan West Bengal & Sikkim are marginally rainfall deficient by 4%. Good rain activity is expected to continue over many parts of West Bengal for another 24 hours. Thereafter the low-pressure system will start to move towards west direction. Therefore moisture incursion over the state will decrease and heavy rains will stop but scattered light to moderate rain will continue over the state. So it will be safe to say that rainfall over the state during this week will be good.